Posted 1 April 2014 & filed under 1940s, 1950s, 1960s, 1970s, 1980s, Churches, Life and leisure, People, Places and spaces, Schools. 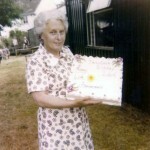 St Julian’s Tavistock Sunday school was started by Miss Lilly Welton in 1941 in her home, 62 Tavistock Avenue. 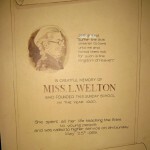 Miss Welton was a member of the Salvation Army but the Sunday school was non-denominational. 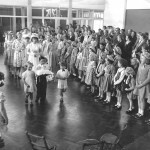 She felt that there was a need for completely independent and non-denominational Sunday school which children could attend voluntarily without having to attend church. Five children attended the first meeting which was held in her flat. Mr R.E. 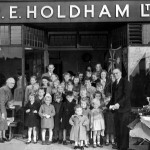 Holdham, who had the butcher’s shop in Vesta Avenue, also took an interest and as well as actively helping Miss Welton, offered the use of a room at the back of his shop. 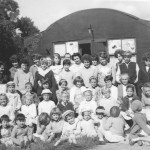 As the membership continued to grow, a Nissen hut was acquired which was built in the alleyway at the bottom of Tavistock Avenue near Mandeville school in 1951. When Miss Welton was unable to carry on actively helping the school, Mr Harry Collins and his wife Victoria of 118 Cottonmill Lane took over, with the help of Mrs Amy Welch who lived at 20 Pemberton Close. Mr Collins was also chairman of the Cottonmill Men’s Club and he and fellow members erected another larger Nissen hut in their spare time. Four years later later, the Sunday school had raised enough money to build another prefabricated building on the site and the school continued to thrive with over 80 children on the register. 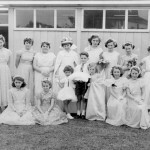 Every two years, the school chose a May Queen or Rose Queen and the ceremony of the crowning of the Queen took place in Mandeville school. The Sunday eventually closed down when Mrs Collins retired. This was in the late 1980s. 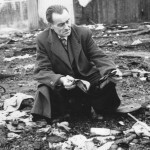 The building suffered another arson attack and eventually had to be pulled down. The area, where the Sunday school once stood, now contains mobile homes. 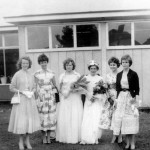 1958 and 1959 Rose Queens, Ann Dymock and Christine Baulk, and attendants.